Forecasters say northern Colorado will warm up slowly after this week’s snowstorm, minimizing the danger of flooding this week. National Weather Service hydrologist Triste Huse said Thursday that daytime temperatures will reach only into the 40s for the next few days and dip below freezing at night. Huse says deep winter snows in the Colorado mountains could worsen the flood danger in May, however. 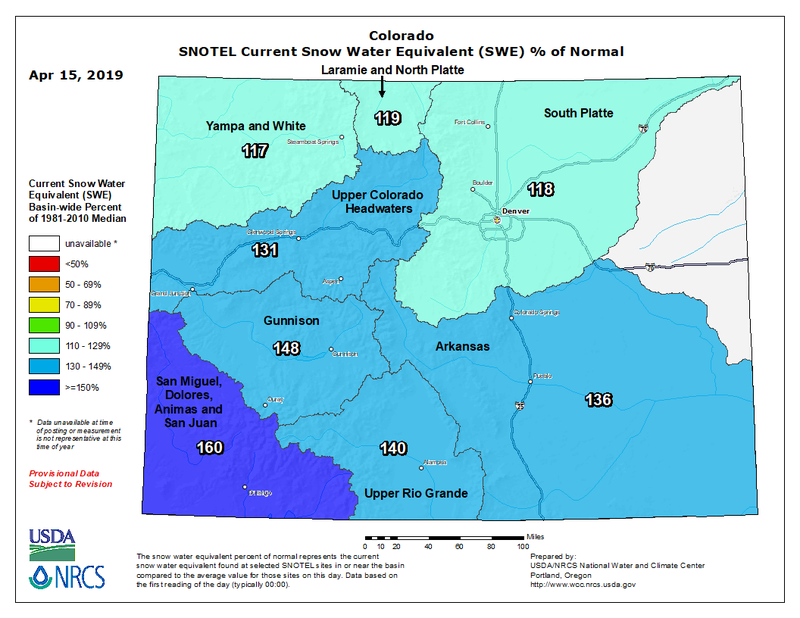 The water content in the mountain snow on [April 11, 2019] ranged from more than 110 percent of normal in the northern part of the state to more than 150 percent in the southwest. At the start of April, river rats were eyeing charts that showed the state’s snowpack well above 100 percent of normal — a bounty set to melt and swell rivers to epic proportions. The 216 million-gallon Nichols Reservoir is full, said Alan Hook, a water analyst for the city. The larger McClure Reservoir — with a capacity of 1.06 billion gallons — is 61 percent full, with about 648 million gallons of water in it, he said. The runoff also will help recharge city wells, Hook said. Farmers and ranchers around the state stand to benefit as well. 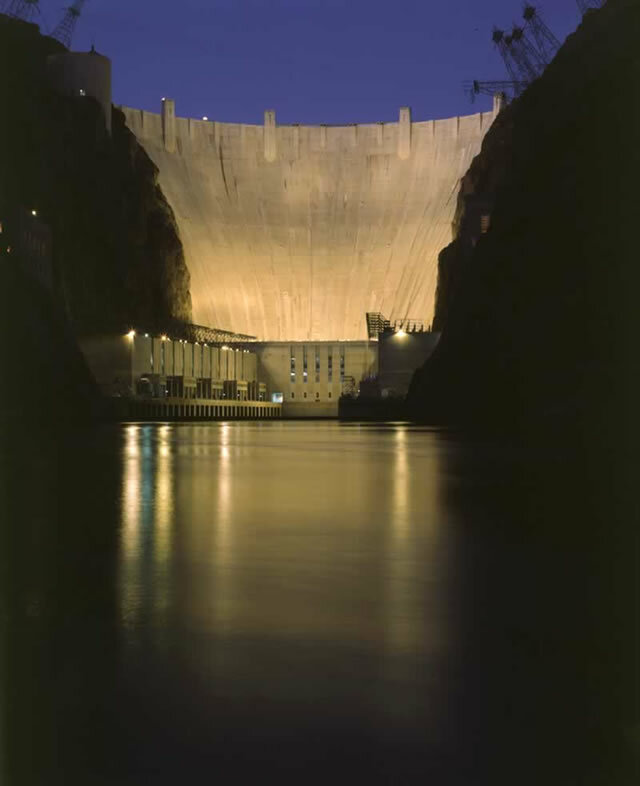 Elephant Butte Irrigation District officials said last week that farmers can expect to get their share of irrigation water as soon as early June, with an allotment of 6 inches per acre. That allocation could increase, depending on how much snowmelt ends up in the Rio Grande. 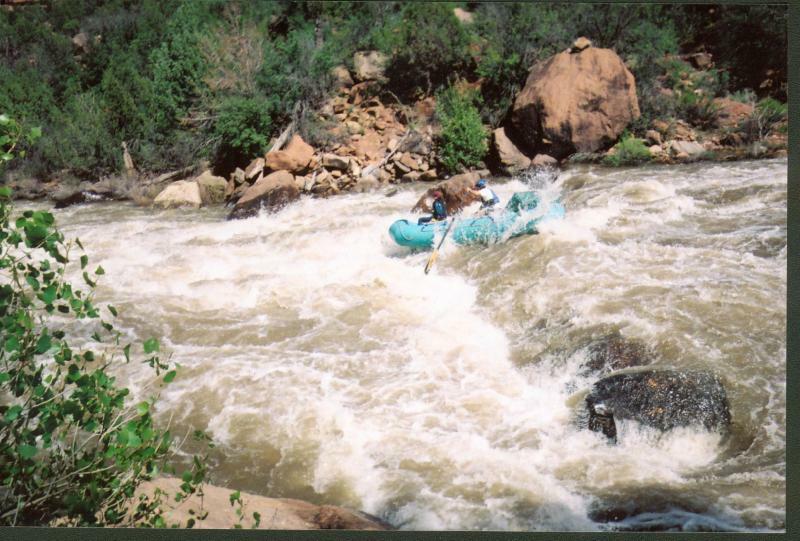 While much of the flows into the Rio Grande come from headwaters in the San Juan Mountains, Steve Harris, executive director of Taos-based Rio Grande Restoration, said about a quarter of the water comes from runoff from Northern New Mexico mountains. The U.S. Natural Resources Conservation Service issued a report April 1 that said with year-to-date precipitation totals “coming in with impressive triple digit numbers as high as 139 percent, the spring runoffs are looking favorable” in New Mexico. For the first time since January 2018, New Mexico has no areas considered to be in extreme or exceptional drought, according to the U.S. Drought Monitor. Snowpack is higher in the northern and eastern basins and lower in the southwestern basins. Climate forecasts through the runoff season suggest that these numbers could climb higher as forecasts indicate a wet spring statewide. 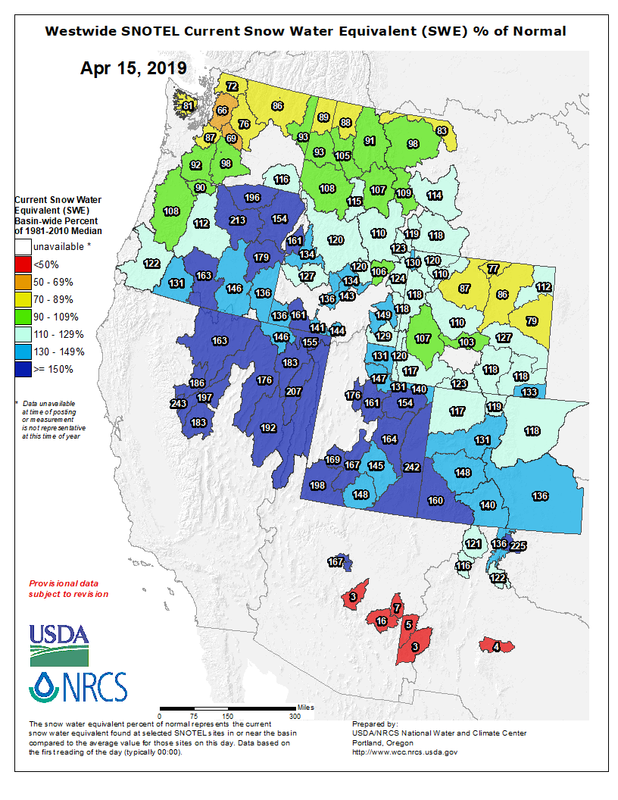 Statewide snowpack basin-filled map April 15,2019 via the NRCS.